This update adds new tools to show different informations in regions, such as heights, ground fertility, or impassable edges as well as the ability to toggle the display of terrain heights allowing you to see the region on a flat plane. It replaces the infamous “T” debug placeholder tool. The display modes are available from a button located near the minimap. Another button allows to toggle heights on or off at any time regardless of the currently displayed layer. 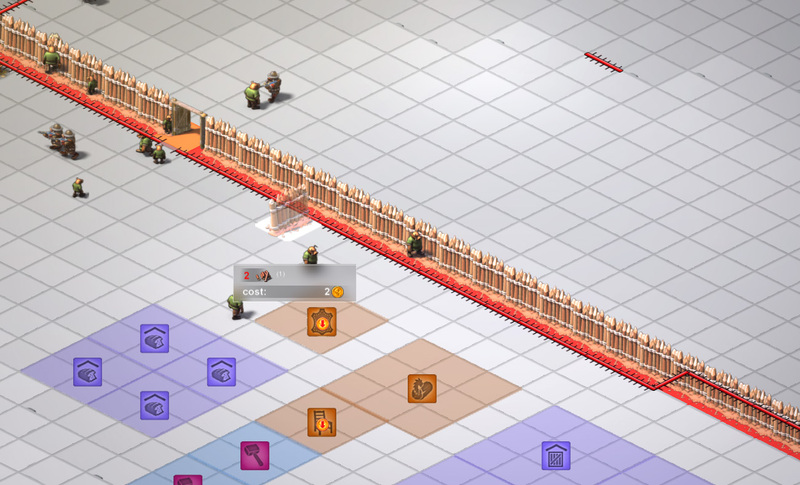 Some display layers are also specific to building placement, and are auto-enabled when placing these buildings: a fertility display when placing fields, or walls display when placing palisades. 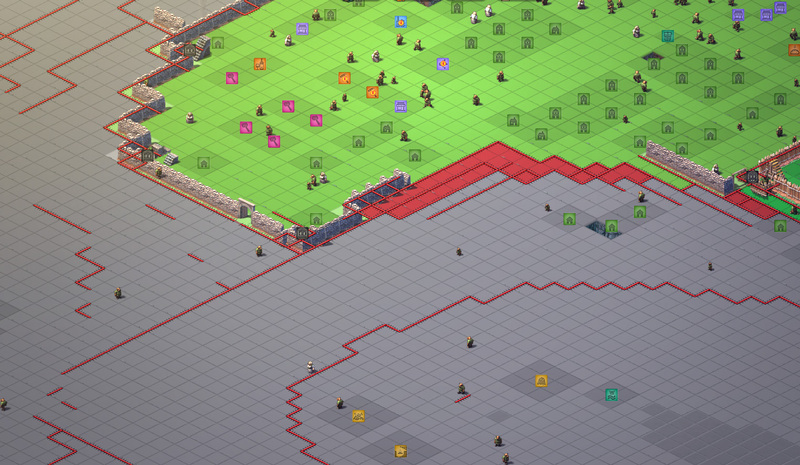 The fortification display only shows defensive structures, and also allows you to identify fortified enclosed areas (green) and inacessible areas (red): an easy way to check the validity of your fortifications! Height map display shows elevations in shades of green, as well as impassable tile edges in red, practical to analyse valid paths in the region. 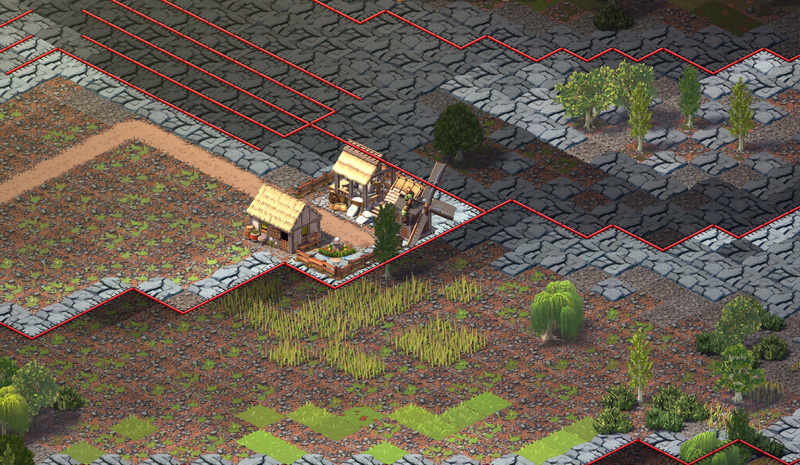 Disabling heights allows you to see the region on a flat plane, with impassable tile edges visible in red, allowing you to easily access areas normally hidden behind the relief. Fertility layer is auto-enabled when placing fields. When placing walls, the walls display layers hides everything else but walls. It allows you to see more clearly which tiles are occupied, and which edges the walls are actually blocking or how they connect to cliffs. – added new system of region layers display. – added ability to toggle heights display on/off. – removed “T” debug tool. 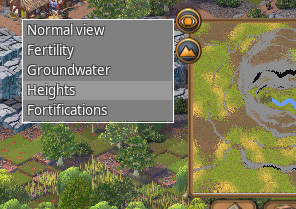 – added fertility, groundwater, heights, and fortifications display layers. 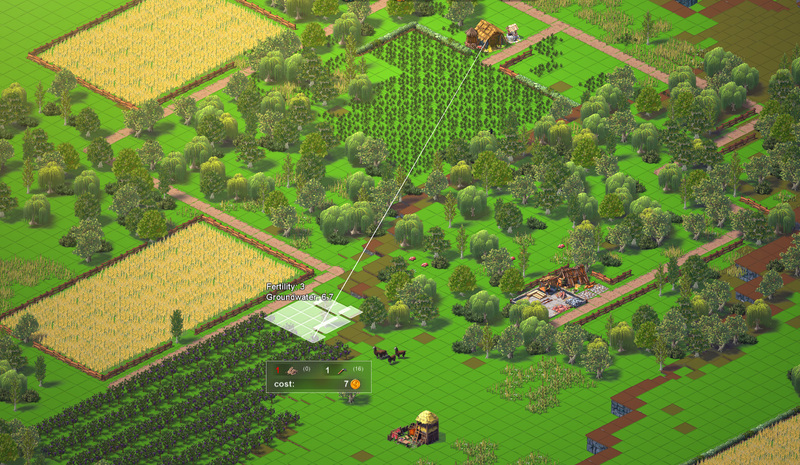 – added auto-enabling of display layers when placing some buildings (farms and walls). – lowered state power cost of national armies from 5 to 3. – fixed issue when disbanding a formation containing troops partially manned. – fixed bug where battles registered as a loss when defending a territory only with allied armies. 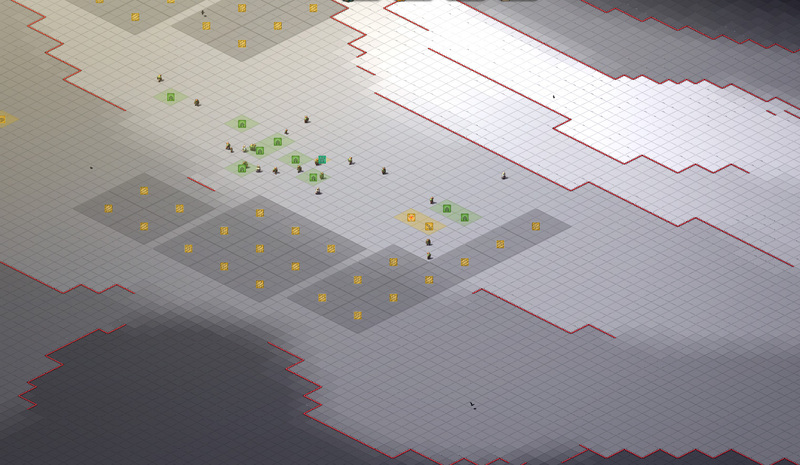 – fixed infinite battle bug caused by problem with retreating units. – fixed infinite battle bug caused by problem with hunting with multiple formations. – fixed bug allowing to recruit and access resources in occupied territories. – fixed various issues when moving nation members in the hierarchy. – fixed issue when subjugating your own superior in a nation: now triggers an automatic rank swap within the nation. – climate AP modificator is now disabled in cities. – honor commitments in treaties lowered to 50 max. 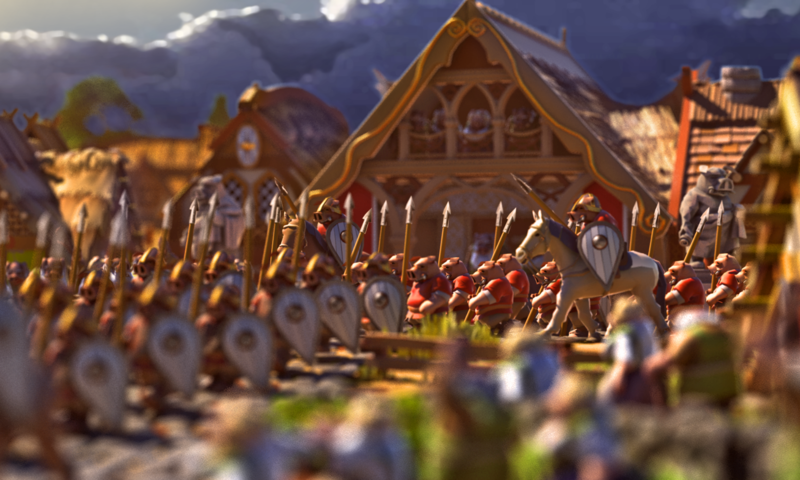 – fixed neutral armies in battle having their AP depleted as well. – lowered VP missions reward to 1VP. – fixed issues with the subjugation action. – improved choice of region for retreating armies: now prioritizing adjascent controlled territories. – if a character is dead/powerless, the nation maitnenance costs of its subordinates are now relayed upon its own superior. – subordinates now pay no taxes/state power if their superior is dead/powerless. – fixed “join faction” treaty term conflicting with other treaties and not causing them to be broken.